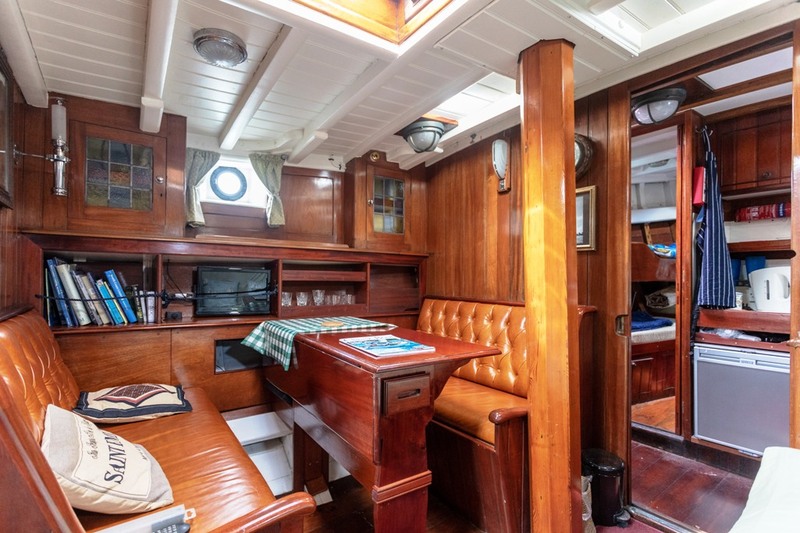 James Ross of Oakshaw, Paisley, Renfrewshire commissioned A M Dickie of Tarbert to design and build a capable, sea-going motor-yacht for cruising the Western Isles. TUNNAG was launched in 1936, her fined Scottish fishing boat lines proved to be successful and attractive and ever since TUNNAG has been coveted by her fortunate owners. 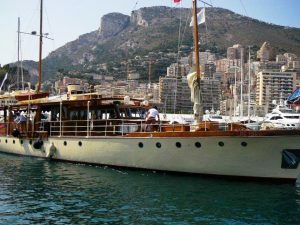 James Ross a member of the Royal Scottish Y C cruised extensively before and after the war before selling in the late 1940s to J K M Wylie of The Knoll, Helensburgh, Dunbartonshire. 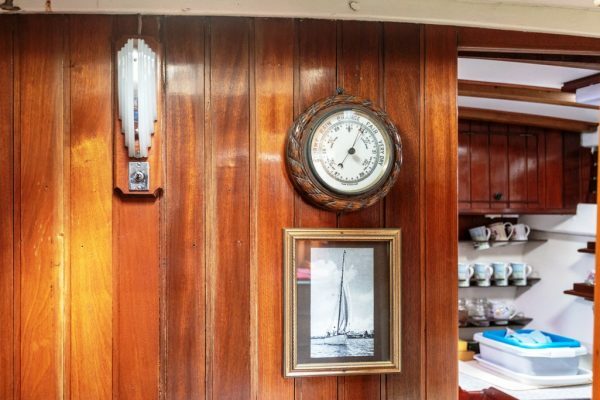 Wylie was a well-known yachtsman and member of the Royal Corinthian, Royal Northern and Clyde Motor Yacht Clubs. 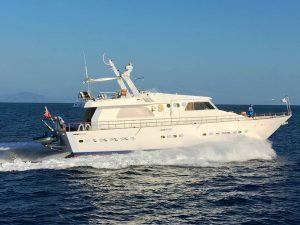 He re-named TUNNAG, VERVE OF RHU. 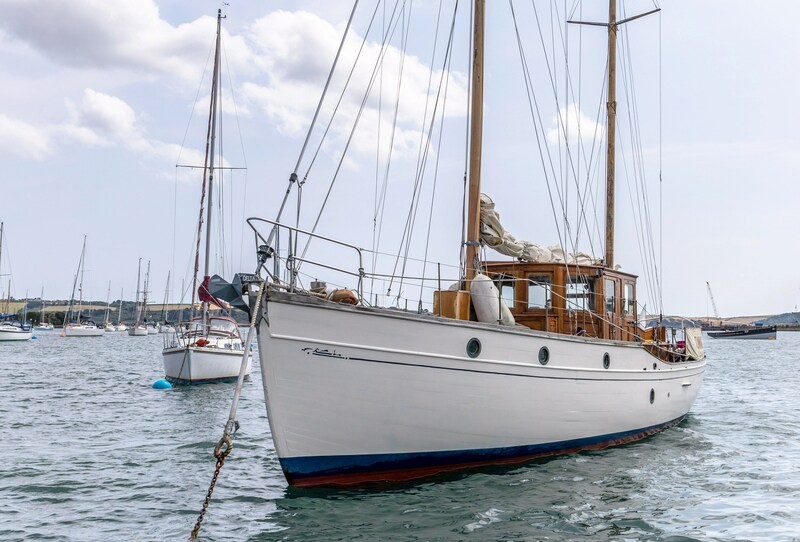 In 1959 Wylie sold the vessel to Capt. E C Ferreira of St. Catherines, Windermere. 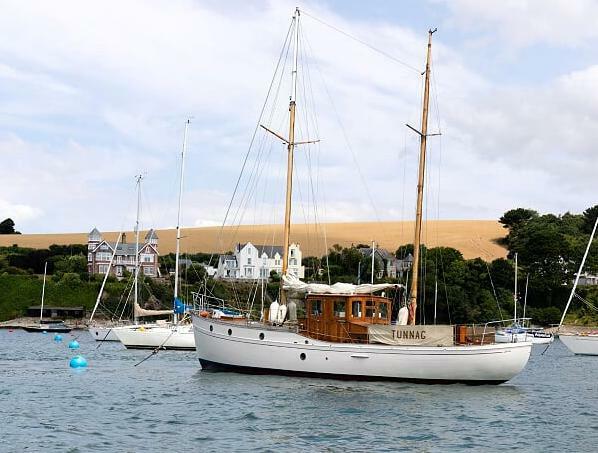 Ferreira decided to call her ALWILDA OF RHU, she remained in his ownership for nearly twenty years, cruising with the Royal Highland Y C and Royal Cruising Club. 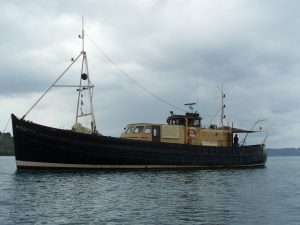 Ferreria re-engined the vessel in 1965 replacing the original Ruston-Hornsby oil engine with a fine Gardner 3LW diesel. In 1977 V S Harvey of Hythe House, Saffron Walden became the fourth registered owner. During the 1980/90s the vessel was stationed on the South-Coast in various ownerships under her original name TUNNAG. 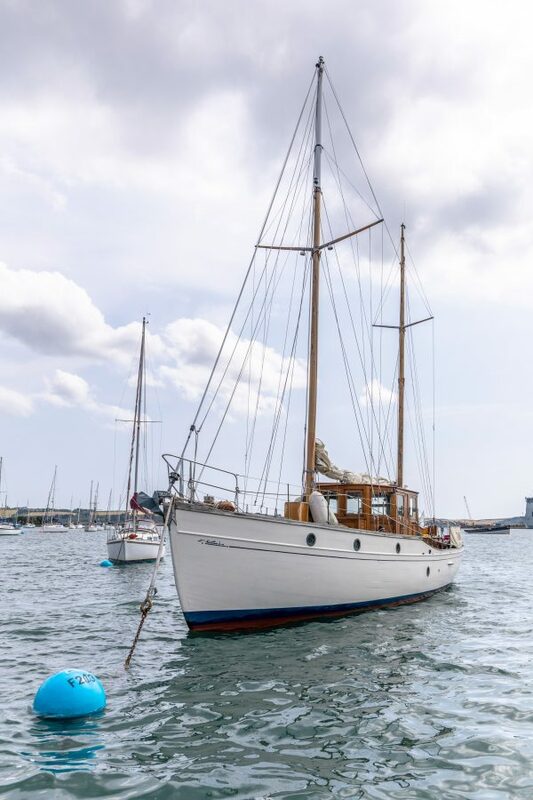 In the present ownership, TUNNAG sailed West from Cowes to Falmouth where she has been stationed for a number of years cruising locally along the Cornish Coast, Carrick Roads and the Fal. 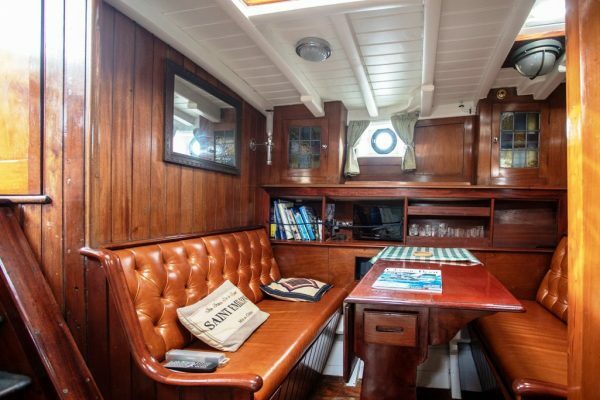 1.5 inch Burma Teak planked hull on oak frames and timbers, splined above the waterline all copper and bronze fastened. Swept solid Teak laid decks, covering boards and king plank. Varnished Teak wheelhouse, aft cabin and cockpit. Pitch-pine stringers and beamshelves. Oak centre-line and keel with inset iron ballast and internal lead trimming ballast. 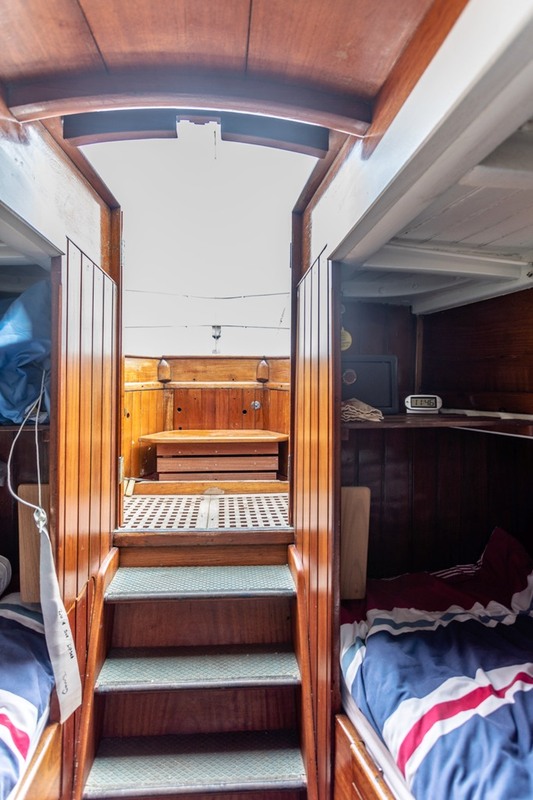 Oak rudder and iron strap floors. 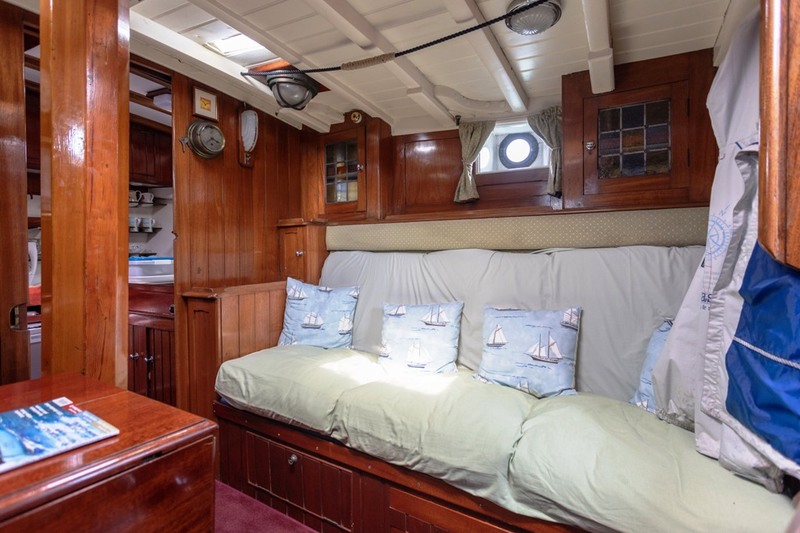 Original period interior with fine crafted Mahogany joinery throughout, creating a wonderful, reassuring and appealing accommodation for extended cruising or living aboard. 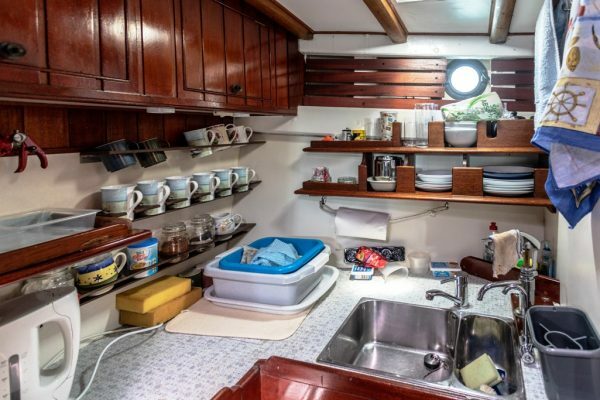 Eight Berths in Three Cabins. 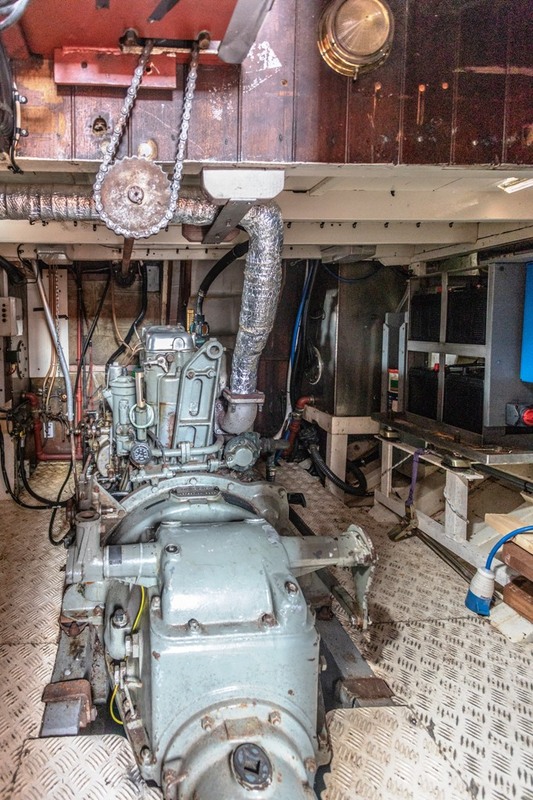 LOBBY: Doors leading off to- ENGINE ROOM: Housing the 47hp GARDNER 3LW DIESEL ENGINE, fitted new in 1965 and overhauled in 1996. Gardner 2:1 reduction gearbox. 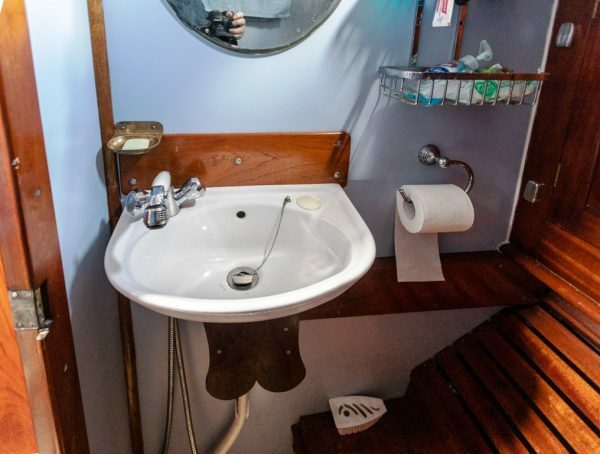 All regularly serviced. 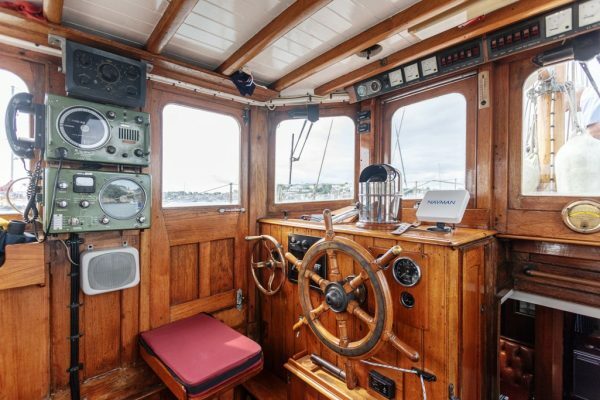 Cruising speed about 7 knots, maximum 9 knots. About 1 gallon per hour motor cruising. Three blade bronze propeller. 110 gallons fuel in two stainless steel tanks, 200 gallons freshwater in two tanks. 24-volt domestic and engine system, 4 x 12-volt batteries. 2 x 12-volt windlass batteries. 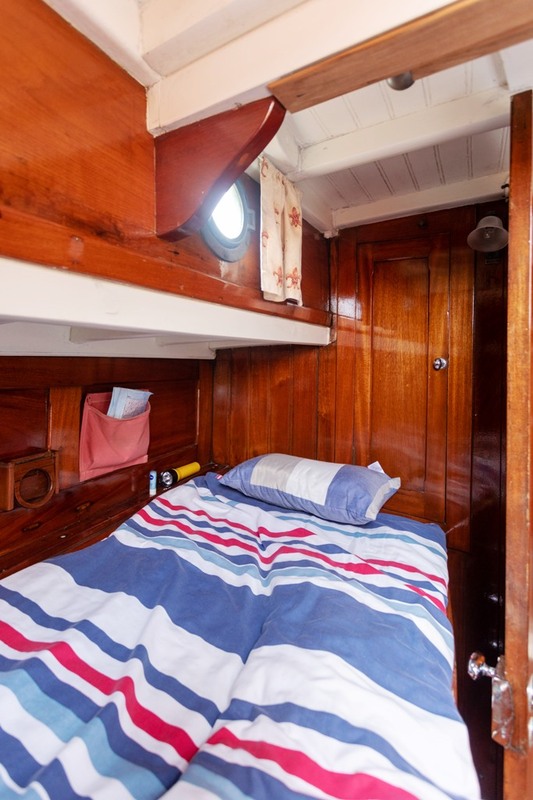 Sterling battery charger and recently fitted fixed generator in engine room to starboard. 240-volt ring-main/shorepower. 240-volt immersion heater. Webasto 5500 central heating system. Gas bottle locker forward of main mast. SHOWER/HEADS COMPARTMENT: Jabsco marine WC, ceramic washbasin and shower fitting. 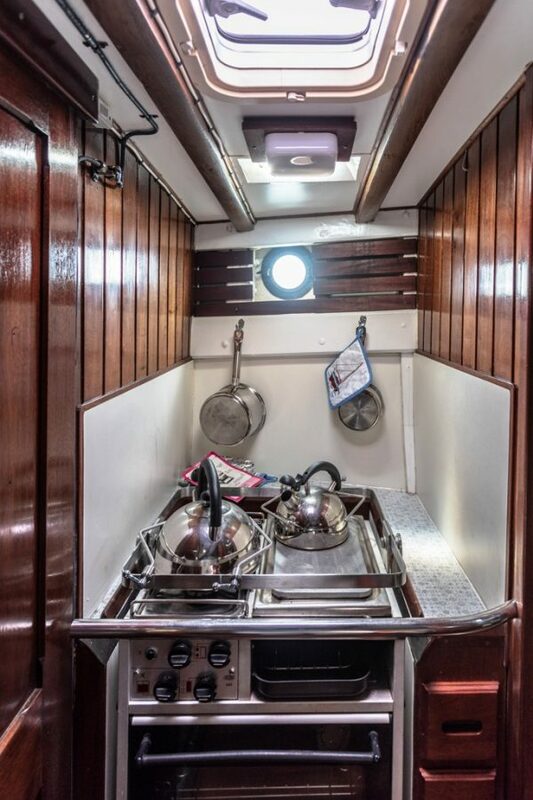 AFT COCKPIT: With double door access with sliding hatch from the stateroom. 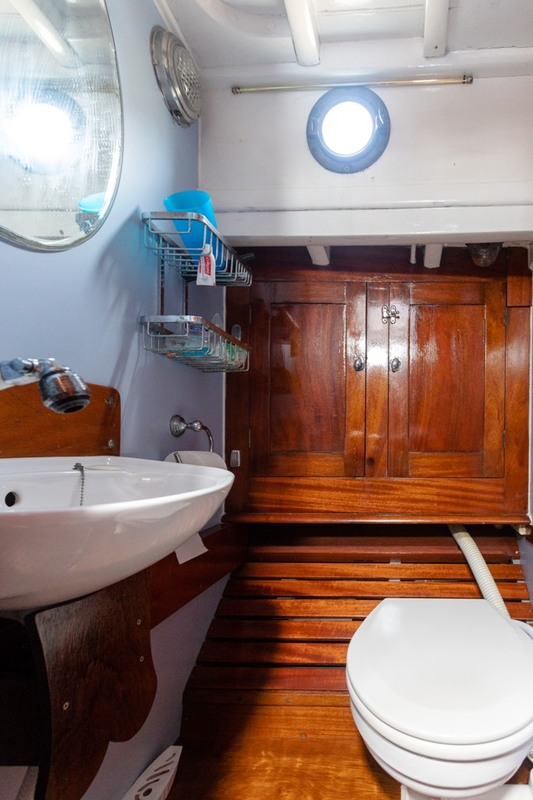 Athwartships removable seat, locker stowage, access to stern lazarette and tiller steering if required. BERMUDIAN KETCH RIG: Sets about 477 sq.ft plain sail with masthead inboard rig. 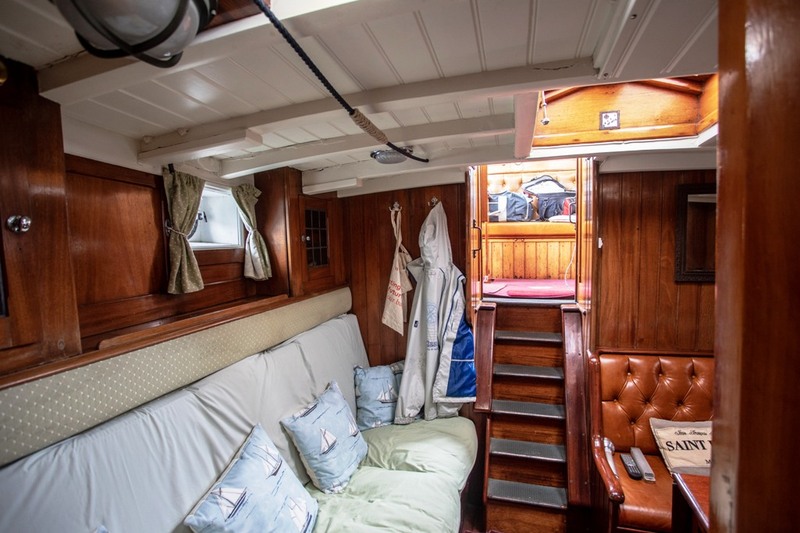 There is provision, with an existing stemhead/foredeck fitting to reinstate a bowsprit and increase the fore-sail area. 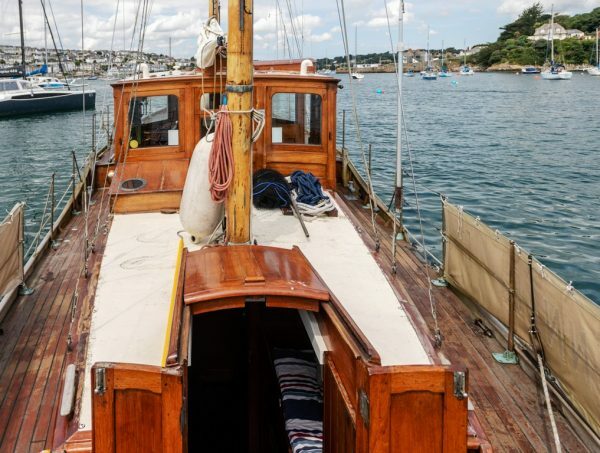 Varnished pine masts and spars, keel stepped main mast and deck stepped mizzen. Stainless steel standing rigging. 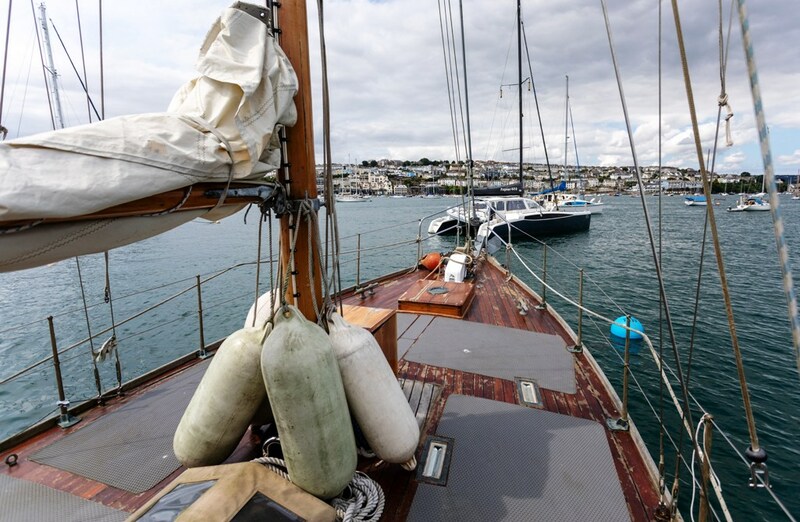 Terylene running rigging, Tufnol blocks, bronze sheet winches. 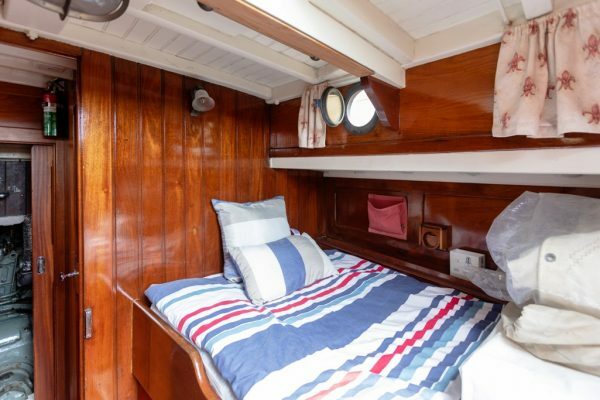 Cream Polyester sails and covers, include mainsail, genoa on roller furling, jib, mizzen and steadying sail. INVENTORY: Manual Whale pump and two Jabsco electric bilge pumps. Two Lifebuoys, four manual fire extinguishers, fire blankets, smoke alarms, gas detector and alarm. TUNNAG is probably one of the most desirable 1930s period yachts of her size and style offering good-looks, undisputed character and appeal with proven sea-going capabilities. Beautifully built from an era when quality materials and skills were more abundant. An eminently practical motor-sailer for the 21st Century, suitable for long distance cruising or living aboard. A real head turner and a very rare opportunity.